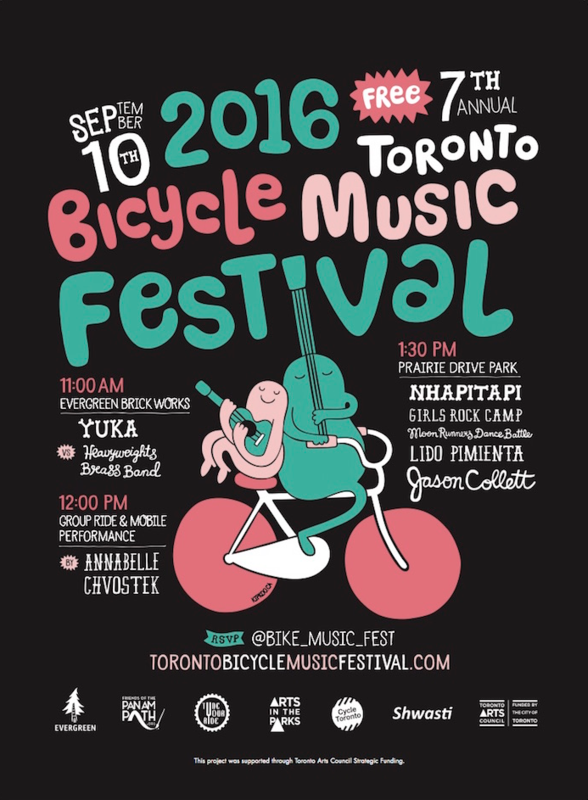 Come join Scarborough Cycles on Saturday September 10th, for a full day of bike fun at the 7th Annual Toronto Bicycle Music Festival! The event begins at 11am with a lineup of great musicians at Evergreen Brick Works. At 12 noon, the music continues on our bikes, as we ride through Taylor Creek Park to Prairie Drive Park in Scarborough (Pharmacy Ave., north of Danforth Ave.) At Prairie Drive Park the music continues on stage with several more amazing musical acts! Scarborough Cycles will be providing free bike tune-ups at 1:30pm at Prairie Drive Park.